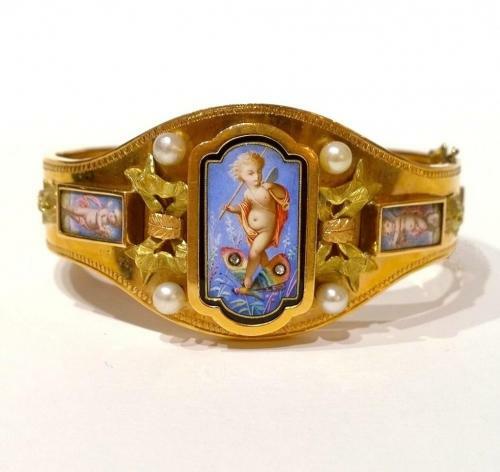 A superb quality gold and enamel bangle in two colour gold set with three very finely painted enamel plaques. The central plaque depicts a putti riding a butterfly, with the butterfly's wings accented with two small rose-cut diamonds. Also set with four pearls. Possibly French or Swiss c.1870. In perfect condition with no restorations.